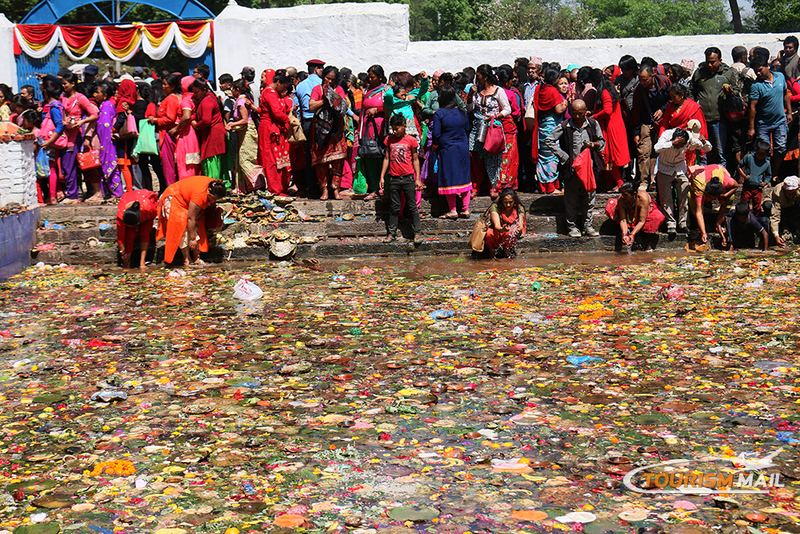 KATHMANDU, April 26: Devotees have started thronging at the Matatirtha pond at Chandragiri Municipality from early morning today on the occasion of the Matatirtha Aunsi. 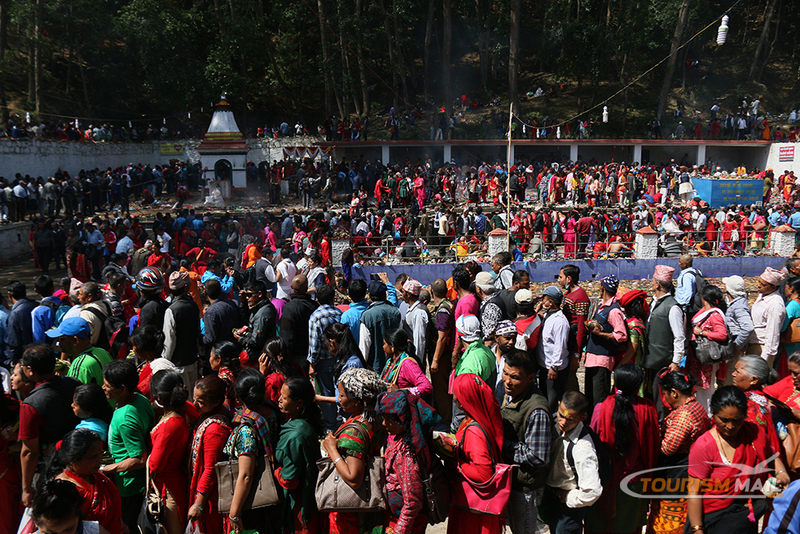 Matatirtha Aunsi is marked as the Mothers Day by the Nepali Hindus and every year devotees throng the religious site for a holy dip and paying homage to the deities there. People from Kathmandu Valley and surrounding districts as well as other places come to Matatirtha pond, about 12 kilometres to the south-west of the capital. Especially people whose mothers have passed away visit the holy place to take bath in the pond, and make offerings and homage to the departed mothers. A myth has it that in the ancient times a herder went to the Matatirtha pond to quench his thirst and upon drinking water happened to see the reflection of his departed mother's face in the pond. It is believed that from that time the Matatirtha pond assumed the veneration. Representatives of various organizations and volunteers have made arrangements for facilitating the devotees in performing the associated rituals. Matatirtha Aunsi falls on the newmoon day in the Nepali month Baisakh every year as per the lunar calendar.